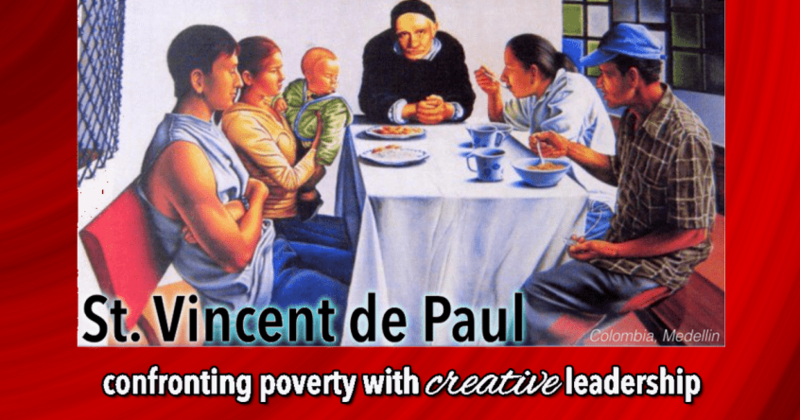 The article “Vincent de Paul and ‘creative love'”* states: “It can be said that Vincent was a man with a creative dimension…” and “Vincent’s life was distinguished by his spirit of inventiveness and creativity,” referring to his different ways of responding to what was happening around him– his ways of accompanying the poor and providing for their needs. With each new situation of misery that St. Vincent observed, he would analyze and discern the best way to respond– all the while waiting attentively and openly for some sign from Providence. Let us reflect on the profound heritage that St. Vincent de Paul has entrusted to us, so that we may respond creatively to present day problems as we walk with those living in poverty. The See, Judge Act Process: a simple method which helps us to stop, stand back from a situation and reflect on it before we jump in and take action.